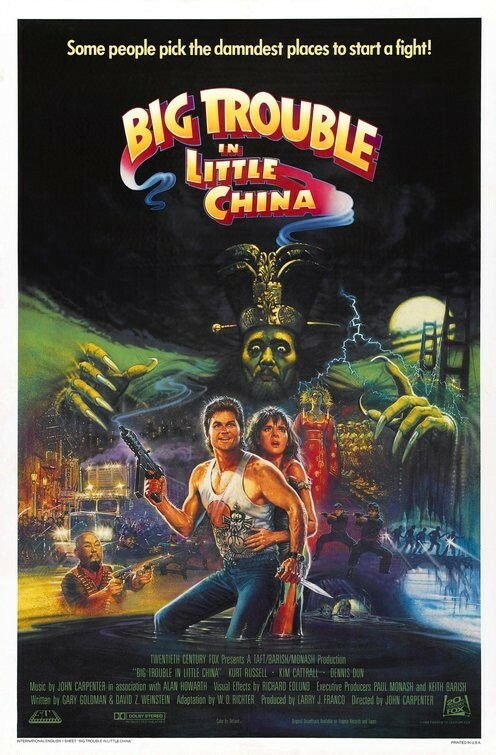 Kurt Russell plays hard-boiled truck driver Jack Burton, who gets caught in a bizarre conflict within, and underneath, San Francisco's Chinatown. An ancient Chinese prince and Chinatown crime lord has kidnapped a beautiful green-eyed woman, who is the fiancee to Jack's best friend. Jack must help his friend rescue the girl before the evil Lo Pan uses her to break the ancient curse that keeps him a fleshless and immortal spirit.